I want you to think about something as you read through this. What has influenced the setting of your moral compass? Living in this age of technological advancement is hard. It’s even harder when you trying to set your moral compass. We need to set our own personal moral compass and that can be a challenge of its own. Reason being, we need to know deep down inside of us who we are. No matter who you are and how you were reared. We all have a sense of right and wrong. I personally was brought up as a southern Baptist, but that alone only tells you what influences I have had in my life. By the grace of God it has been an amazing influence. My moral compass is set on God and for about ten years it lost its setting. I allowed influences in my life to sway the setting. Key-Word here; I Allowed. No one forced me, it was a choice I made on my own. Again by God’s loving grace I was protected even shielded by Him alone. God’s heart broke as I slowly slipped away from Him but He has used every bit of those years and every year that I came back to Him to help me reset my moral compass. There are several influences that mold our way of thinking on where or how our compass is set. To name a few: Our heart and mind, events, religion, family, our peers and media. When setting our moral compass, my prayer is that you look towards God and what He has to say. 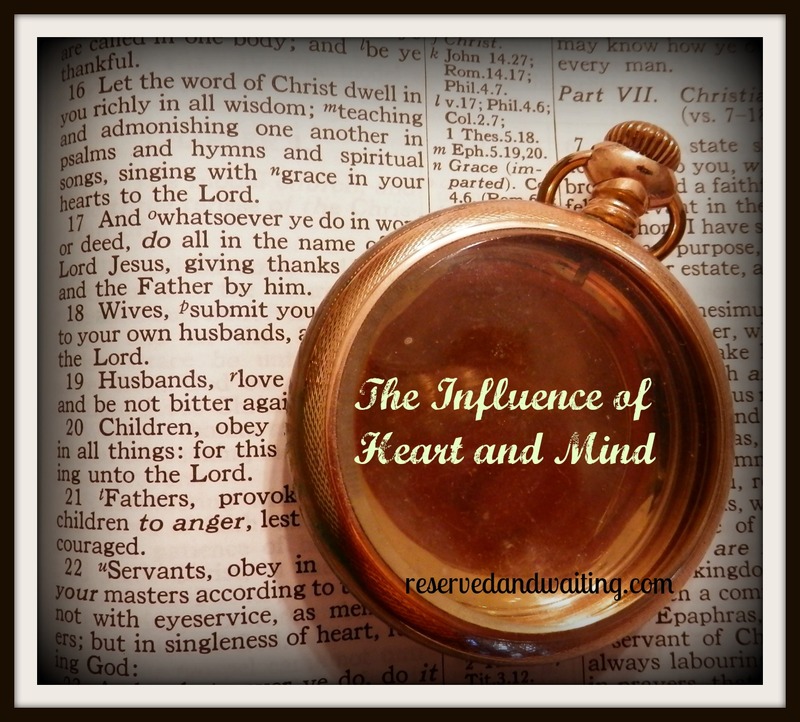 I am learning more and more about how the heart and mind have an outstanding effect on where our moral compass is set. You see, where your mind/thoughts are, that determines what is in your heart. Whatever is in your heart is what flows out into your life. Scripture has stated it over and over about these two members of our body and their part in our life. Here are just a couple. Everything that is with-in you and everything that you do, determines where you set your moral compass. When we set our minds on God. We are filling our heart with God’s love, thus guarding our heart from the other influences around us. There is so much that I would love to share on this subject. So much that we can learn but that would take us away from the theme of this post. Come back soon as I touch on the other influences. In the meantime, would you take the time to help grow this series and share your answer to the question I first proposed. What has influenced the setting of your moral compass? What a great message to share. I learned a lot. This is a great reminder, thank you. Like you, my moral compass is set by my faith in God and my relationship with Jesus. Everything else is based off that. I have to spend time in His Word daily to get my mind in the right place and my focus on Him.